A number of market socialist elements have existed in various economies. The economy of the former Socialist Federal Republic of Yugoslavia is widely considered to be a model of market-based socialism, which was based on the predominance of socially-owned cooperatives, worker self-management and market allocation of capital. Some of the economic reforms introduced by leader of Czechoslovakia Alexander Dubček during the Prague Spring included elements of market socialism. The Mondragon Cooperative Corporation in the Basque Country and Coop corporation in Italy are widely cited as highly successful co-operative enterprises based on worker- or consumer-ownership and democratic management. Peter Drucker described the U.S. system of regulated pension funds providing capital to financial markets as "pension fund socialism". William H. Simon characterized pension fund socialism as "a form of market socialism", concluding that it was promising but perhaps with prospects more limited than those envisioned by its enthusiasts. The modern Cuban economy under the rule of Raúl Castro has been described as attempting market socialist reforms. Similar policies to the market socialist proposal of a social dividend and basic income scheme have been implemented on the basis of public ownership of natural resources in Alaska (Alaska Permanent Fund) and in Norway (The Government Pension Fund of Norway). Belarus ruled by Alexander Lukashenko is described as market-socialist. The phrase "market socialism" has occasionally been used in reference to any attempt by a Soviet-type planned economy to introduce market elements into its economic system. In this sense, "market socialism" was first attempted during the 1920s in the Soviet Union as the New Economic Policy (NEP) before being abandoned. Later, elements of "market socialism" were introduced in Hungary (where it was nicknamed "goulash communism"), Czechoslovakia and Yugoslavia (see Titoism) in the 1970s and 1980s. The contemporary Economy of Belarus has been described as a "market socialist" system. The Soviet Union attempted to introduce a market system with its perestroika reforms under Mikhail Gorbachev. During the later stages there was talk within top circles that the USSR should move toward a market-based socialist system. Historically, these kinds of "market socialist" systems attempt to retain state ownership of the commanding heights of the economy, such as heavy industry, energy, and infrastructure, while introducing decentralised decision making and giving local managers more freedom to make decisions and respond to market demands. Market socialist systems also allow private ownership and entrepreneurship in the service and other secondary economic sectors. The market is allowed to determine prices for consumer goods and agricultural products, and farmers are allowed to sell all or some of their products on the open market and keep some or all of the profit as an incentive to increase and improve production. The term market socialism has been used to refer to reformed economic systems in Marxist–Leninist states, most notably in reference to the contemporary economy of the People's Republic of China, where a free price system is used for the allocation of capital goods in both the state and private sectors. However, Chinese political and economic proponents of the "socialist market economy" do not consider it to be a form of market socialism in the neoclassical sense and many Western economists and political scientists question the degree to which this model constitutes a form of market socialism, often preferring to describe it as "state capitalism". Although similar in name, market socialism differs markedly from the "socialist market economy" and "socialist-oriented market economy" models practiced in the contemporary People's Republic of China and Socialist Republic of Vietnam, respectively. Officially these economic systems represent market economies that are in the long-term process of transition toward socialism. Key differences between models of market socialism and the Chinese and Vietnamese models include the role of private investment in enterprises, the lack of a social dividend or basic income system to equitably distribute state profits among the population, and the existence and role of financial markets in the Chinese model – markets which are absent in the market socialist literature. The Chinese experience with socialism with Chinese characteristics is frequently referred to as a "socialist market economy" where the "commanding heights" are state-owned, but a substantial portion of both the state and private sectors of economy are governed by free market practices, including a stock exchange for trading equity, and the utilization of indirect macroeconomic market mechanisms (i.e. fiscal, monetary and Industrial policies) to influence the economy in the same manner governments affect the economy in capitalist economies. The free-market is the arbitrator for most economic activity, with economic planning being relegated to macro-economic government indicative planning that does not encompass the microeconomic decision-making that is left to the individual organizations and state-owned enterprises. This model includes a significant amount of privately owned firms that operate as a business for profit, but only for consumer goods and services. In the Chinese system, directive planning based on mandatory output requirements and quotas were displaced by free-market mechanisms for most of the economy, including both the state and private sectors, although the government engages in indicative planning for large state enterprises. In comparison with the Soviet-type planned economy, the Chinese socialist market model is based on the corporatization of state institutions, transforming them into joint-stock companies. As of 2008, there were 150 state-owned corporations directly under the central government. These state-owned corporations have been reformed and become increasingly dynamic and a major source of revenue for the state in 2008, leading the economic recovery in 2009 during the wake of the global financial crises. This economic model is defended from a Leninist perspective, which states that a planned socialist economy can only emerge after first developing the basis for socialism through the establishment of a market economy and commodity-exchange economy, and that socialism will only emerge after this stage has exhausted its historical necessity and gradually transforms itself into socialism. Proponents of this model argue that the economic system of the former USSR and its satellite states attempted to go from a natural economy to a planned economy by decree, without passing through the necessary market economy phase of development. Some democratic socialists advocate forms of market socialism, some of which are based on self-management; while others advocate for a non-market participatory economy based on decentralized economic planning. 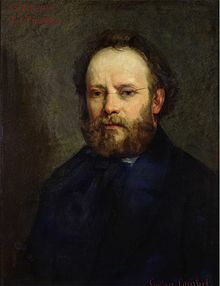 The French philosopher Pierre Joseph Proudhon is the first person to call himself an "anarchist", and considered among its most influential theorists. He is considered by many to be the "father of anarchism". He became a member of the French Parliament after the revolution of 1848, whereon he referred to himself as a "federalist". His best-known assertion is that Property is Theft!, contained in his first major work, What is Property? Or, an Inquiry into the Principle of Right and Government (Qu'est-ce que la propriété? Recherche sur le principe du droit et du gouvernement), published in 1840. The book's publication attracted the attention of the French authorities. It also attracted the scrutiny of Karl Marx, who started a correspondence with its author. The two influenced each other: they met in Paris while Marx was exiled there. Their friendship finally ended when Marx responded to Proudhon's The System of Economic Contradictions, or The Philosophy of Poverty with the provocatively titled The Poverty of Philosophy. The dispute became one of the sources of the split between the anarchist and Marxian wings of the International Working Men's Association. Mutualism is an economic theory and anarchist school of thought that advocates a society where each person might possess a means of production, either individually or collectively, with trade representing equivalent amounts of labor in the free market. Integral to the scheme was the establishment of a mutual-credit bank that would lend to producers at a minimal interest rate, just high enough to cover administration. Mutualism is based on a labor theory of value that holds that when labor or its product is sold, in exchange, it ought to receive goods or services embodying "the amount of labor necessary to produce an article of exactly similar and equal utility". Mutualism originated from the writings of philosopher Pierre-Joseph Proudhon. Mutualists oppose the idea of individuals receiving an income through loans, investments, and rent, as they believe these individuals are not laboring. Though Proudhon opposed this type of income, he expressed that he had never intended "to forbid or suppress, by sovereign decree, ground rent and interest on capital. I think that all these manifestations of human activity should remain free and voluntary for all: I ask for them no modifications, restrictions or suppressions, other than those which result naturally and of necessity from the universalization of the principle of reciprocity which I propose". Insofar as they ensure the worker's right to the full product of their labor, mutualists support markets (or artificial markets) and property in the product of labor. However, they argue for conditional titles to land, whose ownership is legitimate only so long as it remains in use or occupation (which Proudhon called "possession"), thus advocating personal property, but not private property. Josiah Warren is widely regarded as the first American anarchist, and the four-page weekly paper he edited during 1833, The Peaceful Revolutionist, was the first anarchist periodical published. For American anarchist historian Eunice Minette Schuster "It is apparent...that Proudhonian Anarchism was to be found in the United States at least as early as 1848 and that it was not conscious of its affinity to the Individualist Anarchism of Josiah Warren and Stephen Pearl Andrews...William B. Greene presented this Proudhonian Mutualism in its purest and most systematic form". 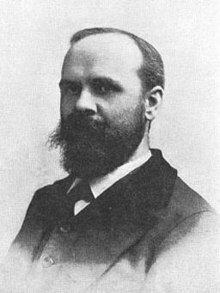 Later the American individualist anarchist Benjamin Tucker "was against both the state and capitalism, against both oppression and exploitation. While not against the market and property he was firmly against capitalism as it was, in his eyes, a state-supported monopoly of social capital (tools, machinery, etc.) which allows owners to exploit their employees, i.e. to avoid paying workers the full value of their labour. He thought that the "labouring classes are deprived of their earnings by usury in its three forms, interest, rent and profit". Therefore, "Liberty will abolish interest; it will abolish profit; it will abolish monopolistic rent; it will abolish taxation; it will abolish the exploitation of labour; it will abolish all means whereby any labourer can be deprived of any of his product". This stance puts him squarely in the libertarian socialist tradition and, unsurprisingly, Tucker referred to himself many times as a socialist and considered his philosophy to be "[a]narchistic socialism". French individualist anarchist Emile Armand shows clearly opposition to capitalism and centralized economies when he said that the individualist anarchist "inwardly he remains refractory – fatally refractory – morally, intellectually, economically (The capitalist economy and the directed economy, the speculators and the fabricators of single systems are equally repugnant to him.)" He argued for a pluralistic economic logic when he said that "Here and there everything happening – here everyone receiving what they need, there each one getting whatever is needed according to their own capacity. Here, gift and barter – one product for another; there, exchange – product for representative value. Here, the producer is the owner of the product, there, the product is put to the possession of the collectivity". The Spanish individualist anarchist Miguel Gimenez Igualada thought that ""capitalism is an effect of government; the disappearance of government means capitalism falls from its pedestal vertiginously...That which we call capitalism is not something else but a product of the State, within which the only thing that is being pushed forward is profit, good or badly acquired. And so to fight against capitalism is a pointless task, since be it State capitalism or Enterprise capitalism, as long as Government exists, exploiting capital will exist. The fight, but of consciousness, is against the State". His view on class division and technocracy are as follows "Since when no one works for another, the profiteer from wealth disappears, just as government will disappear when no one pays attention to those who learned four things at universities and from that fact they pretend to govern men. Big industrial enterprises will be transformed by men in big associations in which everyone will work and enjoy the product of their work. And from those easy as well as beautiful problems anarchism deals with and he who puts them in practice and lives them are anarchists.... The priority which without rest an anarchist must make is that in which no one has to exploit anyone, no man to no man, since that non-exploitation will lead to the limitation of property to individual needs". Left-wing market anarchism, a form of left-libertarianism and individualist anarchism is associated with scholars such as Kevin Carson, Roderick T. Long, Charles Johnson, Brad Spangler, Samuel Edward Konkin III, Sheldon Richman, Chris Matthew Sciabarra and Gary Chartier, who stress the value of radically free markets, termed "freed markets" to distinguish them from the common conception which these libertarians believe to be riddled with statist and capitalist privileges. Referred to as left-wing market anarchists or market-oriented left-libertarians, proponents of this approach strongly affirm the classical liberal ideas of self-ownership and free markets, while maintaining that, taken to their logical conclusions, these ideas support anti-capitalist, anti-corporatist, anti-hierarchical, pro-labor positions in economics; anti-imperialism in foreign policy; and thoroughly liberal or radical views regarding such cultural issues as gender, sexuality, and race. The genealogy of contemporary market-oriented left-libertarianism – sometimes labeled "left-wing market anarchism" – overlaps to a significant degree with that of Steiner–Vallentyne left-libertarianism as the roots of that tradition are sketched in the book The Origins of Left-Libertarianism. Carson–Long-style left-libertarianism is rooted in 19th-century mutualism and in the work of figures such as Thomas Hodgskin and the individualist anarchists Benjamin Tucker and Lysander Spooner. While with notable exceptions market-oriented libertarians after Tucker tended to ally with the political right, relationships between such libertarians and the New Left thrived in the 1960s, laying the groundwork for modern left-wing market anarchism. Left wing market anarchism identifies with left-libertarianism (or left-wing libertarianism) which names several related but distinct approaches to politics, society, culture, and political and social theory, which stress both individual freedom and social justice. Unlike right-libertarians, they believe that neither claiming nor mixing one's labor with natural resources is enough to generate full private property rights and maintain that natural resources (land, oil, gold and trees) ought to be held in some egalitarian manner, either unowned or owned collectively. Those left-libertarians who support private property do so under the condition that recompense is offered to the local community. ^ O'Hara, Phillip (September 2000). Encyclopedia of Political Economy, Volume 2. Routledge. p. 71. ISBN 978-0415241878. Market socialism is the general designation for a number of models of economic systems. On the one hand, the market mechanism is utilized to distribute economic output, to organize production and to allocate factor inputs. On the other hand, the economic surplus accrues to society at large rather than to a class of private (capitalist) owners, through some form of collective, public or social ownership of capital. ^ Roosevelt, Frank; David Belkin (1994). Why Market Socialism?. M.E. Sharpe, Inc. p. 314. ISBN 978-1-56324-465-0. Social democracy achieves greater egalitarianism via ex post government taxes and subsidies, where market socialism does so via ex ante changes in patterns of enterprise ownership. ^ Steele, David Ramsay (September 1999). From Marx to Mises: Post Capitalist Society and the Challenge of Economic Calculation. Open Court. p. 177. ISBN 978-0875484495. It was in the early 1920s that the expression ‘market socialism’ (marktsozialismus) became commonplace. A special term was considered necessary to distinguish those socialists prepared to accept some role for factor markets from the now mainstream socialists who were not. ^ Kevin Carson (16 July 2006). "J.S. Mill, Market Socialist". Mutualist Blog: Free Market Anti-Capitalism. Retrieved 2 March 2016. ^ Wilson, Fred (2007). "John Stuart Mill: Political Economy". Stanford Encyclopedia of Philosophy. Stanford University. Retrieved 4 May 2009. ^ Kevin Carson (19 January 2006). "Eugene Plawiuk on Anarchist Socialism". Mutualist Blog: Free Market Anti-Capitalism. Retrieved 2 March 2016. ^ Eunice Minette Schuster. "Native American Anarchism: A Study of Left-Wing American Individualism". againstallauthority.org. Archived from the original on February 14, 2016. Retrieved 2 March 2016. ^ F. Caffé (1987), "Barone, Enrico", The New Palgrave: A Dictionary of Economics, ISBN 978-1-56159-197-8, v. 1, p. 195. ^ Enrico Barone, "Il Ministro della Produzione nello Stato Collettivista", Giornale degli Economisti, 2, pp. 267–93, trans. as "The Ministry of Production in the Collectivist State", in F. A. Hayek, ed. (1935), Collectivist Economic Planning, ISBN 978-0-7100-1506-8 pp. 245–90. ^ Fred M. Taylor (1929). "The Guidance of Production in a Socialist State", American Economic Review, 19(1), pp. 1–8. ^ Mark Skousen (2001), Making Modern Economics, M.E. Sharpe, ISBN 978-0-7656-0479-8,pp. 414–15. ^ János Kornai (1992), The Socialist System: the political economy of communism, Oxford University Press, ISBN 978-0-19-828776-6, p. 476. ^ Steele, David Ramsay (September 1999). From Marx to Mises: Post Capitalist Society and the Challenge of Economic Calculation. Open Court. p. 151. ISBN 978-0875484495. Finally, there is the curious circumstance that Lange’s system is widely hailed as a pioneering effort in the theory of market socialism, when it is demonstrably no such thing: even the name ‘market socialism’ predates Lange, and Lange’s system is explicitly a proposal to replace the market with a non-market system. ^ Aslund, Anders (1992). Market Socialism Or the Restoration of Capitalism?. Cambridge University Press. p. 20. ISBN 9780521411936. Usually Oskar Lange is regarded as the originator of the concept of market socialism, in spite of the fact that he never spoke of market socialism and would not have been the first if he had. In fact, Lange's model involves only a partial market simulation for the trial-and-error iterative construction of a central plan, which belongs to the set of decentralization procedures in central planning. ^ a b Duan Zhongqiao. "Market Economy and Socialist Road" (PDF). Retrieved 4 February 2016. ^ a b Market socialism or Capitalism? Evidence from Chinese Financial Market Development, 2005, by Du, Julan and Xu, Chenggang. April 2005. International Economic Association 2005 Round Table on Market and Socialism, April 2005. ^ Michael Karadjis. "Socialism and the market: China and Vietnam compared". Links International Journal for Socialist Renewal. Retrieved 20 March 2013. ^ a b "The Role of Planning in China's Market Economy" Archived 2011-06-07 at the Wayback Machine, presented before the "International Conference on China's Planning System Reform", March 24 and 25, 2004 in Beijing, by Prof. Gregory C. Chow, Princeton University. ^ "China grows faster amid worries". BBC News. July 16, 2009. Retrieved May 12, 2010. ^ Anderson and Herr, Gary L. and Kathryn G. (2007). Encyclopedia of Activism and Social Justice. SAGE Publications, inc. p. 448. ISBN 978-1412918121. Some have endorsed the concept of market socialism, a postcapitalist economy that retains market competition but socializes the means of production, and in some versions, extends democracy to the workplace. Some holdout for a nonmarket, participatory economy. All democratic socialists agree on the need for a democratic alternative to capitalism. ^ "Native American Anarchism: A Study of Left-Wing American Individualism by Eunice Minette Schuster". Againstallauthority.org. Archived from the original on February 14, 2016. Retrieved 2013-10-11. ^ ""Anarchist Individualism as a Life and Activity" by Emile Armand". Spaz.org. 2002-03-01. Retrieved 2013-10-11. ^ Gary Chartier has joined Kevin Carson, Charles Johnson, and others (echoing the language of Benjamin Tucker and Thomas Hodgskin) in maintaining that, because of its heritage and its emancipatory goals and potential, radical market anarchism should be seen – by its proponents and by others – as part of the socialist tradition, and that market anarchists can and should call themselves "socialists." See Gary Chartier, "Advocates of Freed Markets Should Oppose Capitalism," "Free-Market Anti-Capitalism?" session, annual conference, Association of Private Enterprise Education (Cæsar's Palace, Las Vegas, NV, April 13, 2010); Gary Chartier, "Advocates of Freed Markets Should Embrace 'Anti-Capitalism'"; Gary Chartier, Socialist Ends, Market Means: Five Essays. Cp. Tucker, "Socialism." ^ Vallentyne, Peter; Steiner, Hillel; Otsuka, Michael (2005). "Why Left-Libertarianism Is Not Incoherent, Indeterminate, or Irrelevant: A Reply to Fried" (PDF). Philosophy and Public Affairs. 33 (2): 201–215. doi:10.1111/j.1088-4963.2005.00030.x. Archived from the original (PDF) on 2012-11-03. Retrieved 2013-07-23.